Cuphead is a difficult gauntlet through a ton of bosses, from evil clowns to bossy queen bees. Surviving can be difficult, but some players are blasting through the game with breakneck speedruns or dangerous “no hit” challenges. Death is to be expected in Cuphead; there are tons of projectiles to dodge and enemies to avoid. 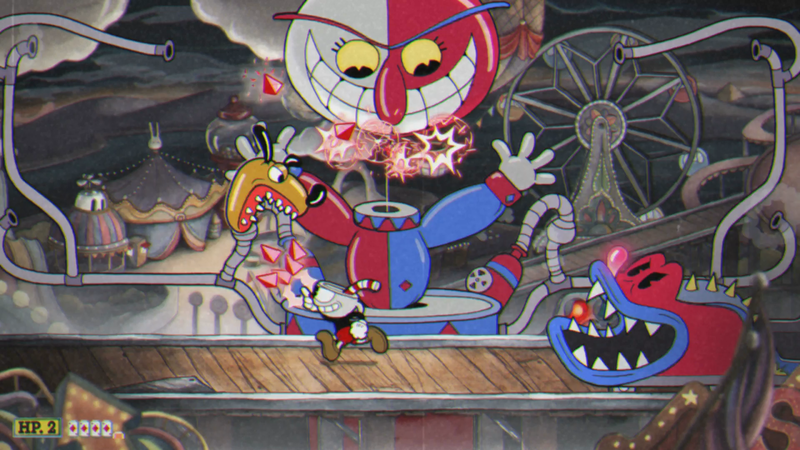 The game offers a handful of special skills and upgrades to help Cuphead and his pal Mugman survive. Some of the most useful are extra pieces of health and a dash that grants invulnerability. YouTuber Aeraloth doesn’t bother with any of these in their segmented playthrough of the game. They don’t even use the game’s dodge button at all and still manage to never take a hit of damage. Of course, there’s also the question of how quickly someone can beat the game’s bosses without restrictions. The current world record for all bosses in Cuphead is a 37 minutes and 49 second run by fireb0rn. Most notable between the two runs are the weapons both players use. The most important is the charge shot, which absolutely destroys bosses if you can hit with it. Fireb0rn takes it a step further, spamming special attacks to dominate bossfights even if they get hit from time to time. Cuphead built a reputation for difficulty before release, but its boss battles are mostly about recognizing patterns than getting lucky against unfair bosses. Watching players ace their way through the game’s bosses is a spellbinding reminder that even tough games can be defeated easily with hard work.